TAAI Members are bound by TAAI Code of Conduct and Constitution and enjoy networking opportunities with the TAAI Membership via various formal and informal forums. TAAI's primary objective is to look after the interests of its members. Each application is vetted by TAAI local Regions/Chapters/City Committee and finally approved after stringent scrutiny by its Managing Committee. All members undertake to adhere to the Code of Conduct and abide by the Constitution of TAAI. Members enjoy the benefits of wide range of member information and networking abilities with over 2500 other members and 100's of partners. To protect and secure the interests of the membership. To Act behalf of our membership in negotiations and deliberations with Industry stake holders. To promote highest standards of professionalism and ethics in our members in their dealings with public and among each other members. To provide with professional training to enhance skills, updates with latest industrial working and conducts roadshows with various National Tourism Organizations across the country. To consider all legislation and/or proposed legislation brought to TAAI's attention by members or otherwise , affecting or likely to affect the travel industry and to take any or all such actions in the interest of its membership. Every Region/Chapter/City Committee of TAAI has to conduct meetings of its members once in 60 days, where members can share ideas on the current matters affecting the trade in general and get themselves acquainted with new developments in the travel and tourism industry. At these meetings problems affecting the members are discussed and resolved. Many meetings are conducted by inviting industry leaders/consular officers and guest speakers to address members on relevant and pertinent issues. TAAI Newsletter keep members updated on important industry matters. TAAI Annual Congress (also known as Annual Conventions) offers formal and informal networking opportunities with other members , associate partners, international delegates etc. This annual event is well known. Respected international speakers and industry leaders are invited to address members. TAAI constantly liaises with the government bodies viz. 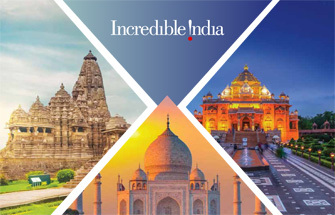 office of Director General of Civil Aviation (DGCA), Ministry of Civil Aviation (MOCA), Ministry of External Affairs (MEA), Ministry of Tourism, Government of India Tourist Office, various commerce organizations , Diplomatic Missions, Airport Authorities etc. TAAI fights any action which may be detrimental to the travel industry . Deal with someone you can trust "A TAAI MEMBER" .